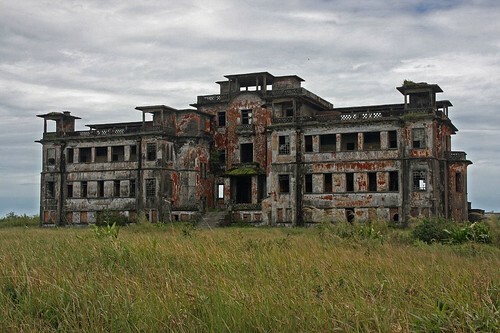 Bokor Hill Station is an old abandoned ghost town in Bokor National Park, one of the most protected areas in Cambodia. 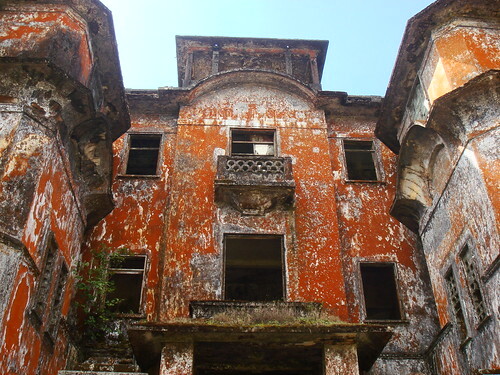 Built during the French colonial era, Bokor National Park was chosen by its particular beauty, and of course also for its altitude, as a refuge in the warmer months of the year. 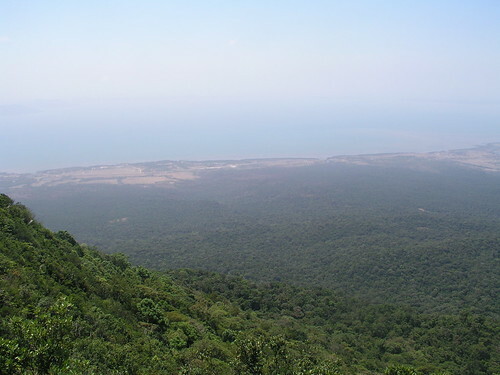 A part from its forests overlooking the Gulf of Thailand, Bokor is really appreciated because its mountains are plenty of all kind of animals: asian elephants, tigers, leopards, pigs, gibbons and many species of birds. The road that arrived to Bokor (1080 m) was built by cambodian workers between 1917 and 1921, many of whom died during the works. 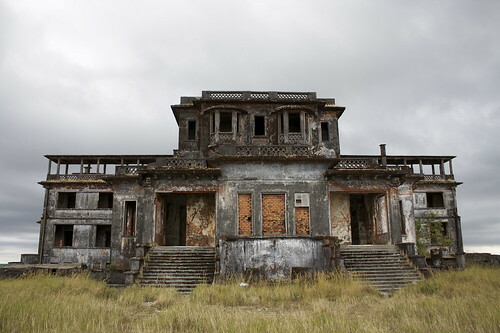 Once the road was finished they started to built a french vacational resort, culminated in 1925 with a large casino, the Bokor Palace. A part from the casino, some other relevant buildings are still standing, buildings like the post office, a water tower, a church, or the structure of a modest hotel. 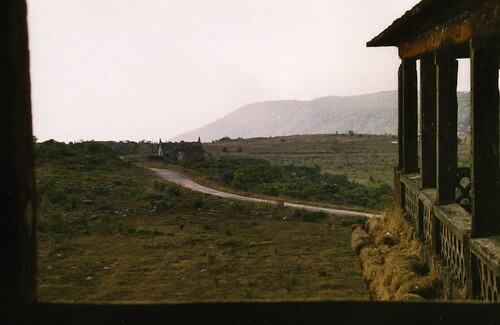 Bokor Hill was abandoned in two occasions. The first time was during Cambodia’s war of independence from France (1945), and the second time was during the Civil War (1970’s – 80’s). Now is a ghostly place. 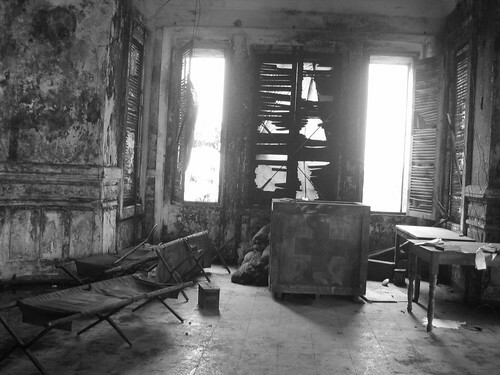 Fog is very common at this point and the wind howls through the empty rooms of buildings like Bokor Palace. 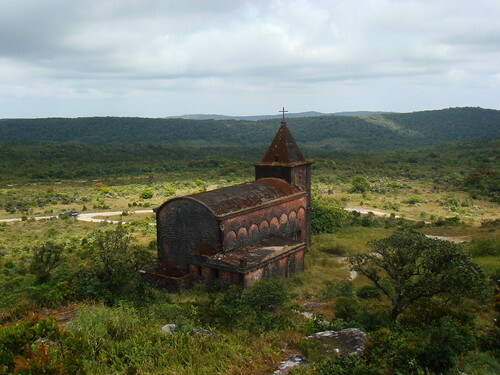 Area of conflict for many years, who ventures to Bokor should be very cautious with the mines, as they can still hide in roads and little paths of the area. Thank you for a great description and collection of photos from this truly magical place! Thanks for your comment, Anders.